The Week In Games: Go, Ninja, Go, Ninja, GO! It’s time to become a deadly ninja! 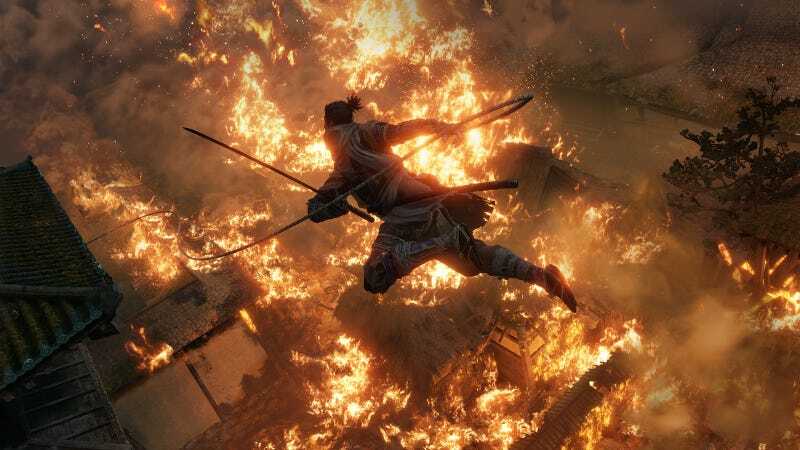 Sekiro: Shadows Die Twice releases this week and it looks great. I’ve never been a big fan of From Software games like Dark Souls, but something about Sekiro is calling to me. I too want to be a cool ninja. I really can’t believe this game is being published by Activision. It seems so strange. I’m glad From Software is finding success and other publishers are excited to work with them, but Activision? Seems like an odd fit. Beyond Sekiro, we have a bunch of games coming out for a ton of platforms. Two Point Hospital fans get some new DLC this Monday, Unravel Two hits the Switch and for all you lovers of competitive gameshows, American Ninja Warrior: Challenge releases this week for all major platforms. Also last week I noticed we didn’t have any 3DS or Vita releases and I wondered if they were truly dying. But the 3DS gets a release this week. Keep on trucking you little Nintendo machine!